Italy's Only Blue-Veined DOP Cheese! 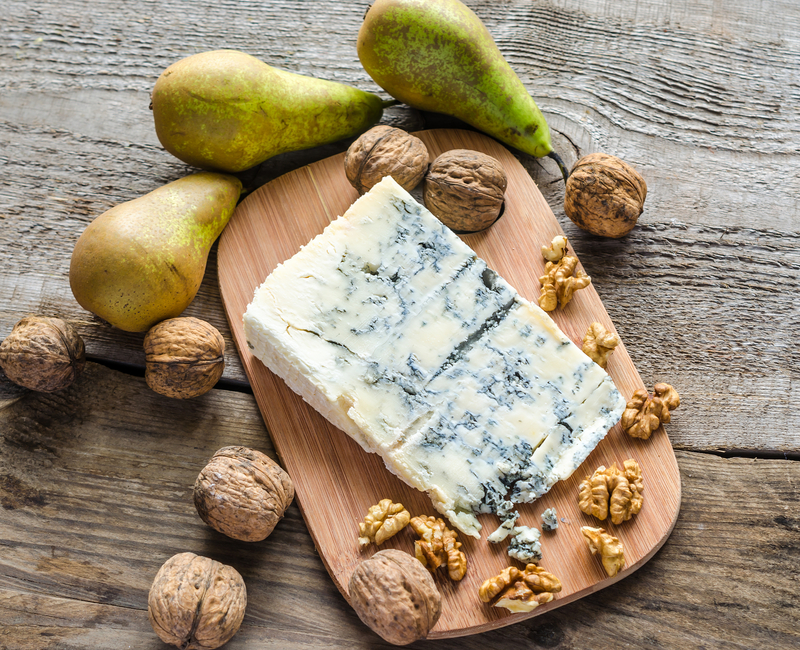 No cheese case would be complete without Gorgonzola, Italy’s contribution to the big blues of the world. This piccante version called Mountain Gorgonzola is a “natural” type, aged for 90 days. With its buttery consistency and spiky blue veining, it straddles the line of creamy and crumbly, making it suitable for the table as well as sauces and salads. Gorgonzola is Italy’s only blue-veined DOP cheese. At the Caseificio Gelmini, Gorgonzola is hand-made from start to finish. The magic begins with the purest and finest cow’s milk from Lombardy combined with a careful balance of ingredients. Factor in the personal touch of the cheese artist, which includes salting and turning each wheel by hand, and you have a product worthy of the Gelmini label, one of the most treasured brands of Italy today. Application: Use Mountain Gorgonzola in an Italian-inspired Cobb salad with Speck Alto Adige, Mortadella, crisp pears, and the tangy cheese. Pairing: A robust Syrah or a Belgian Dubbel both stand up to the flavors of this Mountain cheese. The label reads Prosciutto coi Fiocchi – “the Prosciutto with a bow,” which also means “well done” in Italian. In its red, white and green necktie, Ermes Fontana’s Prosciutto di Parma is already dressed for dinner. According to the producer, this prosciutto gives us “the gift of nature.” Under its fluffy bow, Fontana Prosciutto di Parma holds all the perfumes and aromas of the past, thanks to a rigorous observance of ancient Parma recipes. Slice Fontana Prosciutto into buttery ribbons for the perfect dose of the Parma countryside, a land of green hills rich in tradition and love for products of long ago. 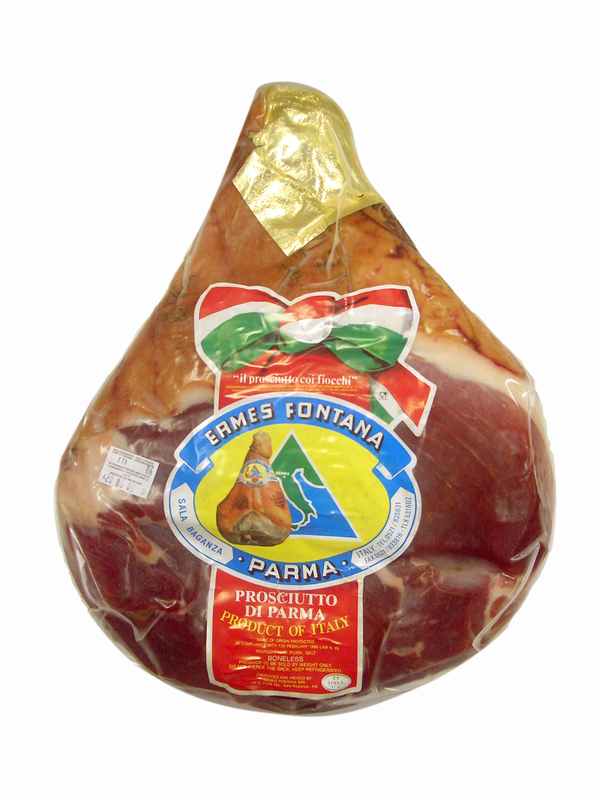 Because Fontana Prosciutto has an exceptionally high nutritional value and a low salt content compared to their competitors, it fits into a variety of diets and dishes.